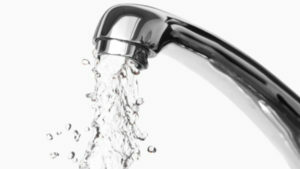 Fix a Leaky Faucet without a Plumber! Do it Yourself! If you experience waking up in the middle of the night to the irritating noise of drip, drip, drip from a leaky faucet, it’s probably time you learn how to fix a leaky faucet. Doing so will save you the trouble of calling up a plumber, and will save you from high plumbing bills. how to fix a leaky faucet in simple and easy to understand steps. small parts like screws and washers go down the drain. use your screwdriver to remove the screws that are holding them together. screwdriver or you may have to pry it open. handle. Don’t worry if there isn’t one. Instead, go buy one. can cause damage to brass fittings. Keep it hand-tight. clockwise or to the left. your faucet handle post, you can clean it off using lime away products.